I like what Susan said here. ""I think they will be surprised - there are some great numbers in there and I hope that they will be up on their feet dancing. I think I'm going to show them that I'm not just the Queen of ballads - I can definitely rock with the best of them." Thanks DJG, WOW sounds like everyone is in for a fun trip, including Susan. Tweets and reports say that Susan Boyle knocked it out of the park tonight!!! Go Susan!!!! 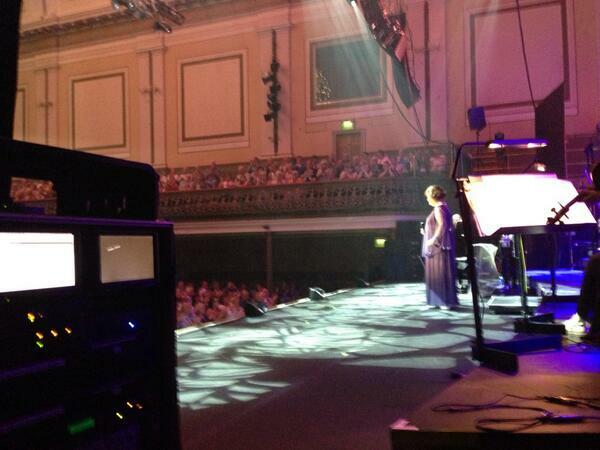 Susan on stage in Aberdeen this evening. Inverness July 2, Susan rocked. Six more to go! Aberdeen July 4, Wow! Another fantastic show! Five more to go! Dundee July 6, Susan Blew the Roof off Caird Hall. Three super successes, 4 to go! Glasgow July 8 and 9, Incredible shows! Edinburgh July 12 Another show stopper! Susan was "out of this World". Way to go Susan. Edinburgh July 13 From a tweet -Absolutely fantastic. Most brilliant thing I have ever seen!